In this article we argue that the EU is being inconsistent in insisting on inflexible principles for the transition period and for the Irish border while flouting those principles in the case of Gibraltar. 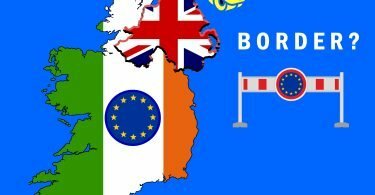 In the case of Gibraltar the EU supports right to close the border, while in Ireland it insists on the border remaining open. Spain’s current demands are deceptively dovish in comparison to those made by the EU over Northern Ireland. 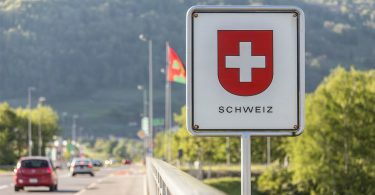 The demands, however, amount to joint control of the airport, anti-tobacco smuggling measures (there are already considerable measures), and measures on tax transparency. However, joint control of the airport would be to give Spain a role in Gibraltar’s lifeline service, particularly given Spanish unreliability over the border. On tax, Spain wishes to deal with Gibraltar separately from the EU’s general processes. Issues key to Gibraltar’s economy would be under Spanish supervision, with the EU ready to support its member state whenever Spain chooses to use the issues as leverage over sovereignty. If the United Kingdom does not agree, then Spain will have the EU’s support in whatever steps it wishes to take. The Spanish Foreign Minister, Alphonso Dastis, says he wants an agreement with the UK by October to allow the main UK: EU negotiations to proceed, but the points of dispute remain unresolved. Gibraltar is a British Overseas Territory, ceded to the British Crown in 1713 under the Treaty of Utrecht following the Spanish War of Secession. 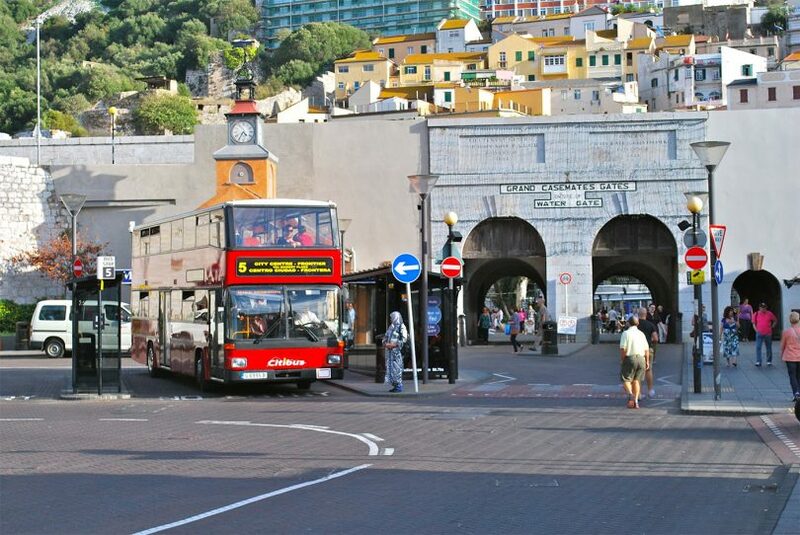 The people of Gibraltar are predominantly of Spanish, Maltese and other Mediterranean descent, and are bilingual Spanish/English speakers, with English the language of business and Spanish otherwise dominant. Nevertheless, Gibraltarians have twice voted by over 99% to reject any move from British to Spanish sovereignty. On the last occasion, the vote was 17,900 to 187 against any compromise with Spain despite considerable threats from the then Labour government. Spain, however, sees Gibraltar as a British colony whose population are not natives for whom self-determination simply does not apply. Even though the local population have roots going back three-hundred years, and during that time many have come from the Mediterranean by an ordinary process of immigration, to the Spanish they are merely “settlers” and of no account. The Spanish think – despite having two enclaves in Morocco – that it is unnatural for Britain to own Gibraltar, and that Spain is incomplete without the Rock. They dispute that the area of the isthmus joining the rock to mainland Spain, here the airport is sited, was ever ceded to the United Kingdom, a point of construction of the original Treaty of Utrecht. Franco closed the border in 1969, and democratic Spain was slow to reopen it. The border was only fully reopened in 1985. However, Spain has notoriously continued to slow traffic across the border to a standstill, with putative customs checks escalating whenever political tension rises. The result is that locals may find themselves trapped in a border queue for most of the day in the Mediterranean heat. In 2006, Spain’s then socialist government signed the Cordoba Agreement with the United Kingdom and Gibraltar to normalise relations. The agreement involved no concessions on sovereignty claims or aspirations, but the agreement dealt with the administration of the airport, and improved movement on the border. Given that over 10,000 locals cross the border each day to work, all exercising EU free movement rights, the agreement was of considerable practical importance. Although, in the 1980s, Britain did not use Spain’s desire to join the EEC to extract concessions on Gibraltar from Spain, Spain has taken a quite different view over Brexit. The EU’s position is that Spain has a veto on any application of a Brexit Agreement to Gibraltar. This is despite such agreements requiring only a qualified majority under Article 50. The only other agreed veto right has been given to the Irish over the border. Whereas the Irish veto has been given in respect of an issue that arises directly from the nature of Brexit, Spain has been given the right to use Brexit negotiations as leverage for its broader constitutional aspirations. Although over 10,000 current EU citizens (mainly Spanish, but a significant number of British citizens) exercise free-movement EU rights across the border, the EU has licenced Spain to use them as bargaining chips. If Spain believes its cause will be promoted by closing the border, then that appears to be fine by the EU. The EU is taking Spain’s side over sovereignty because Spain is a member state, so will be backed for that reason alone. As with the EU-27 reaching a single opinion on the intractable issues of Ireland, we see the new EU chauvinism of “my fellow member states, right or wrong” short-circuiting all debate. The EU in April 2017 gave Spain a blank cheque to link the position of Gibraltar in Brexit to Spanish sovereignty demands. Spain was originally inclined to accept this invitation to the full, but has since reined back, although the issues it raises are still of considerable importance. But this is the choice of Spain – the EU’s choice was to back whatever position the Spanish took. Firstly, the EU has demanded that those using EU rights of free movement should keep absolutely the same rights post-Brexit, and keep those rights forever. Amongst those whose use of free-movement rights are potentially affected by Brexit are the thousands of border workers who cross daily from Spain to Gibraltar. All are currently using EU law rights, whether they be Spanish workers living in neighbouring towns or Gibraltarians who have settled across the border whilst working on the Rock. But the EU will happily exclude these rights from the Brexit Withdrawal Agreement if Spain believes it will help it in a territorial claim which is supported by neither democracy nor the rule of law. Secondly, the EU has demanded (successfully) a standstill transition deal based on the principle that it must be the whole EU acquis applicable to the United Kingdom, or nothing. (This is actually contrary to the EU’s own original description of a possible transition under Article 50 as having a nature determined by the probable future relationship – but more recently they said it was impossible to cherry-pick different parts of the acquis.) So whilst it is apparently impossible to exclude, say, British territorial waters from the geographical scope of the transition, it is the simplest thing for the EU to exclude Gibraltar even in respect of core EU law rights. There is also little to be said for the EU’s insistence on a bilateral agreement between the UK and Spain. The Cordoba Agreement deals at length with the airport, which is one of the principal issues that the Spain has raised. The Cordoba Agreement recognises the need both for border controls and the need for fluidity at the border. It is true that this existing agreement did not deal with tax avoidance – one of Spain’s putative issues – but again the EU and Spain are being less than honest. Outside of the EU, Gibraltar will be subject to the possibility of EU blacklisting – a process to which all offshore jurisdictions are subject, and was much in the news towards the end of last year. The EU has an established process for such concerns, but the EU backs Spain’s demand for a bespoke and unprincipled process for Gibraltar. The Cordoba Agreement was also, tellingly, a trilateral agreement: it accepted that there was a need to involve the people of Gibraltar in an agreement on Gibraltar. The EU, equally tellingly, has endorsed the Spanish reversion to their position that such agreements should be bilateral and only with the UK – meaning that the views of the people of Gibraltar do not count. The contrast with Northern Ireland could not be greater. With one the EU demands a free border; in another it supports disproportionate restrictions as a means of coercing a neighbour. With Northern Ireland, the EU purports to uphold the sanctity of the Good Friday Agreement although the Good Friday Agreement itself does not mention the border. With Gibraltar, there is an agreement that guarantees proportionate border checks and delays, something that facilitates the flow of workers and citizens across the Gibraltar/Spain border, employing their EU law rights. Yet, the EU champions the right of Spain to restrict and cut off that flow for no other reason than “we are going to support the member state”. We should have no doubt that EU support for Spain on Gibraltar means EU support for Spain’s common tactic of slowing the border queue and boiling infants and the elderly in their cars as they wait to cross. The extent to which Gibraltar benefits from financial services trade with the EU-27 is much less than the amount of wealth that goes from Gibraltar to Spanish workers – 90% of Gibraltar’s financial service trade is with the United Kingdom, and thus unaffected by Gibraltar’s position in any Brexit agreement. The EU can offer Spain no assistance on Gibraltar other than clearing the way for a blockade by refusing to give border workers the benefit of the Withdrawal Agreement. It might be said of this that it is only natural that EU states should back a fellow member in any dispute. The EU, however, has made many inflexible demands and presented them as coming from objective and necessary principle. Such a presentation shields the EU from accusations that the EU is flouting the norms of international relations, e.g. when demanding that its court should have jurisdiction in the UK, or that the UK must accept EU legislative power without representation for a transition period or else the Article 50 process permits only a cliff-edge scenario. If EU inflexibility is not the result of adherence to principle even at the cost of “no-deal”, then such inflexibility means that the demands are simply an act of arbitrary power. Such a conclusion will doubtless mean little to the EU’s own approach. But it is uncomfortable for those in the UK who seek to overturn Brexit. They need to present Brexit as collapsing due to being inherently misconceived. They do not wish to be seen siding with a use of naked and arbitrary power against their own country. The approach to Gibraltar by the EU, particularly in its indifference to the citizens’ rights issues where it has been absolutist, demonstrates a preference for power over principle. Which means shows of principle are not sincere. It is worth noting that destinations from Gibraltar to Spain have always proved uneconomic. So it is unspecified joint-control for Gibraltar’s routes to the United Kingdom and Morocco that are sought. It is a different debate whether Ireland is in fact using the Brexit border dispute for such purposes. However, the Irish Government and EU negotiators have strongly protested that they have not being doing any such thing, even when promoting the idea of an internal UK hard-border. Spain, however, has been free to set its own price for Gibraltar’s inclusion. An issue for another day is how third countries can have meaningful relationships with individual EU member states given such an approach. But that has always been the flaw in having both an EU common foreign and security policy and individual national foreign policy identities.